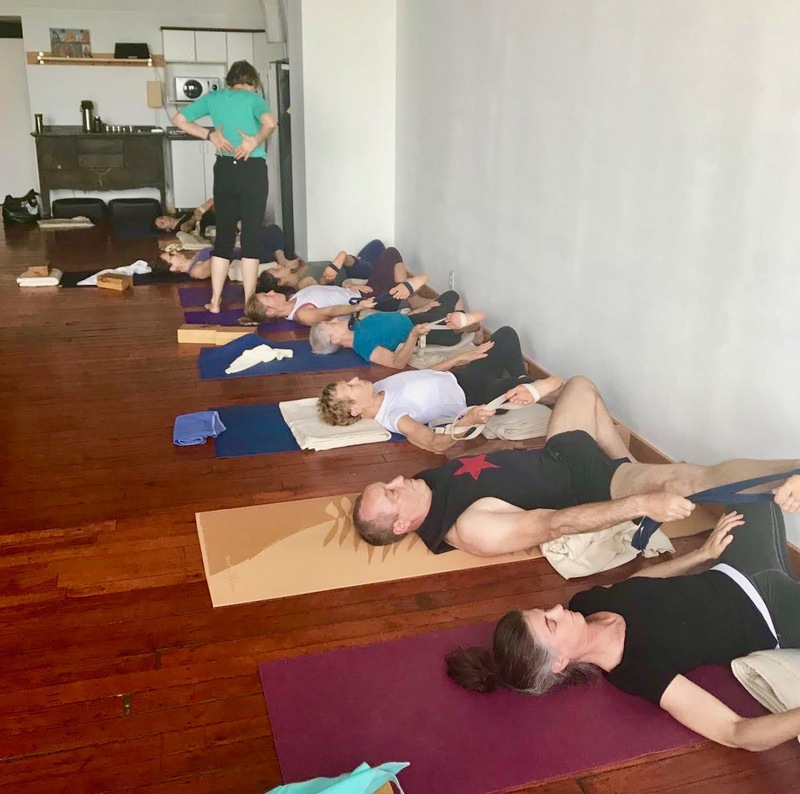 Workshop at Planet Yoga in Montréal. 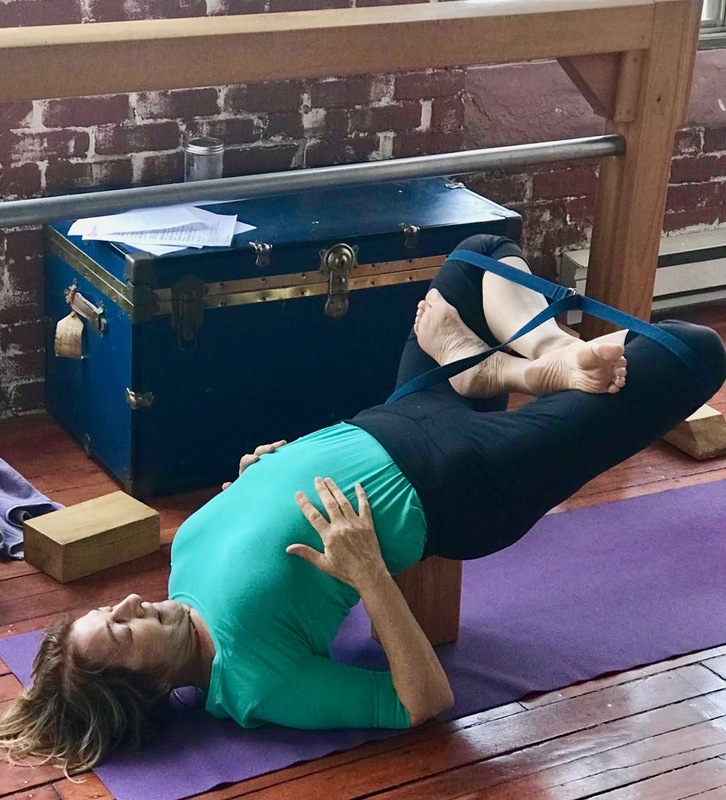 Pincha Myorasana with block. Lift from the inner body – the inner deltoids/trapezium and spine. Half Supta Baddha Konasana, combination, half Supta Padangustasana. 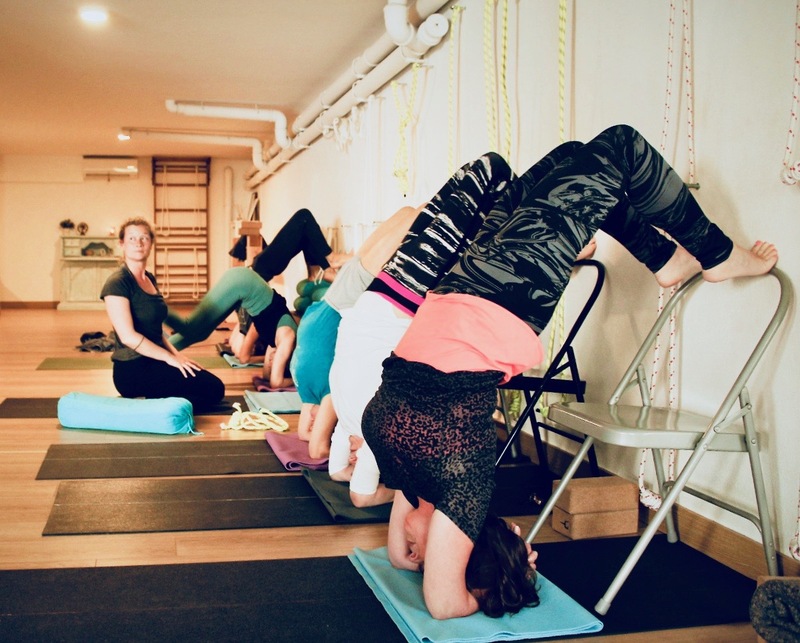 Another hip opener: Parsvakonasana with a chair. This student was a professional socker player. We were all so happy when she began to get the hang of Supta Padangustasana 3. To begin with, she was tipping over toward her head, causing her left leg to lose it’s connection with the floor. A folded blanket under her back remedied the situation. Padmasana in Setubanda Sarvangasana over a brick. 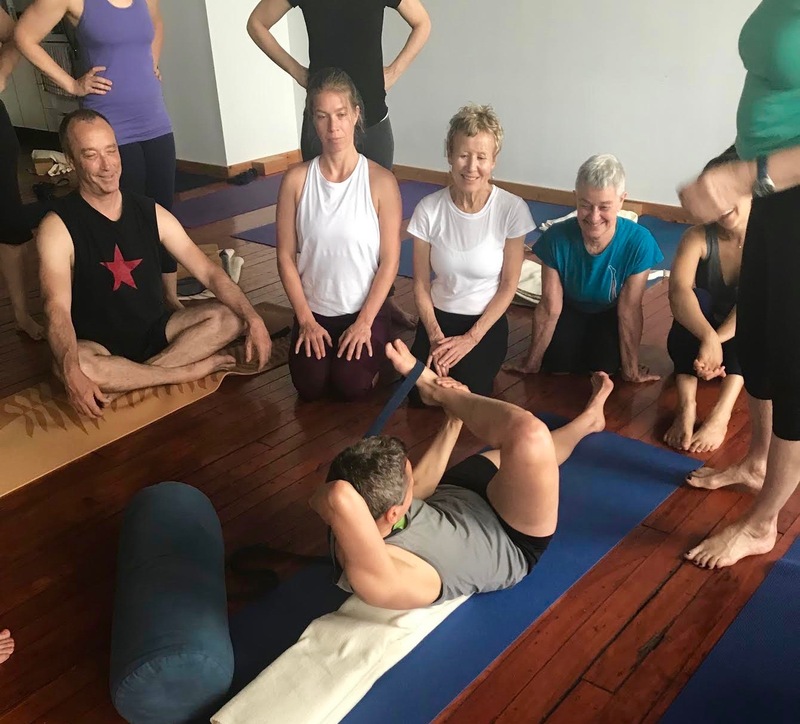 Workshop at Solviegasyoga Studio in Almancil. First drop back from Sirsasana to the wall and learn how to flip over back to the floor from there. Keep your legs together, otherwise you will jam your sacrum!! Next, walk down to the chair back, and flip over from there. When you are ready, drop straight back onto the chair seat. This student dropped over with control (raise your shoulders and press the shoulder-blades forward)so the photographer was able to capture that moment just before she lightly touched the chair.